Note: This post originally appeared on the Canada BIO2014 blog. The key ingredients for sustaining a thriving life sciences innovation ecosystem are well known. There has to be a balance between the global market demand for innovative products, services & solutions, and the supply of the right knowledge, talent & technologies to address the market’s unmet needs. Canada has built a competitive advantage on several vital supply-side elements of this ecosystem. We have a highly educated population in the STEM (Science, Technology, Engineering, Mathematics) disciplines, globally competitive academic institutions across all life sciences disciplines, and a single-payer healthcare delivery system with robust health data repositories. However, when it comes to seamlessly linking these supply-side assets to demand-side markets, and cultivating a robust local health industrial complex, Canada has lagged behind peer jurisdictions globally. Long-term thinking coupled with audacious bets by both national and regional players (industry and government) are now coming together to make Canada a global address for life sciences innovation. Policies and new public-private partnerships created to overcome the second major “valley of death” bottleneck and accelerate the adoption of technologies into health systems, at scale. Several new initiatives that align Canada’s single-payer health systems with regional innovation agendas are underway. For example, new strategic health innovation procurement policies in Alberta, and the world first MaRS EXCITE pre-market technology assessment program in Ontario. With these policies, investments and initiatives now in place, a coherent health innovation system – from discovery to validation to adoption – is taking shape. And the world is paying attention. 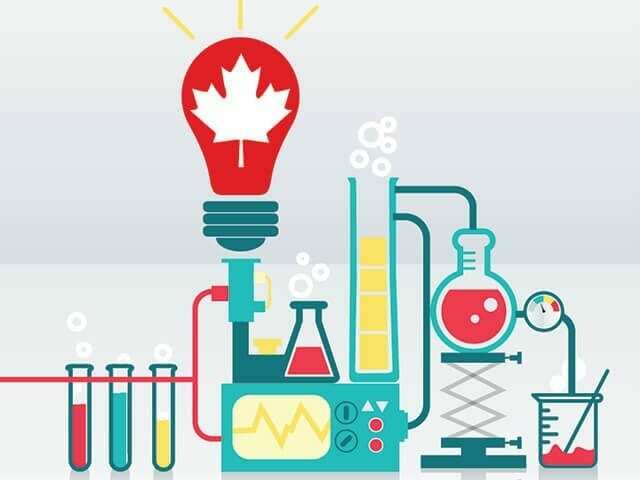 Global life sciences companies and venture capital investors are increasingly finding Canada to be an attractive destination for breakthrough R&D collaborations and for exploring new partnership models across the full continuum of innovation. Canada is now well positioned as a global hub for innovators in the life sciences. We have significant capacity in the traditional domains of pharmaceuticals, devices and digital health technologies. And we can help innovative companies accelerate the shift in technology development from a centralized, “bricks and mortar” R&D engine to a variable R&D model, unlocking the true value of the technologies these companies bring to market by converting them into “health solutions providers” capable of partnering with health systems. Canada has laid the foundation for a vibrant life sciences innovation ecosystem that can help health systems around the world address their most pressing needs for maintaining the health of individuals and populations in their markets. Now, we invite members of the global pharmaceutical, medical device and health IT communities to partner with us in developing the next frontiers of innovation.